Will Myanmar release Reuters' journalists? Myanmar's Supreme Court was scheduled on Tuesday to hear the appeal of two Reuters journalists imprisoned for breaking a colonial-era official secrets law, in a case that has raised questions about Myanmar's progress towards democracy. Their convictions were heavily criticised by press freedom advocates and Western diplomats, putting additional pressure on Myanmar leader Aung San Suu Kyi, the Nobel laureate who took power in 2016 amid a transition from military rule. 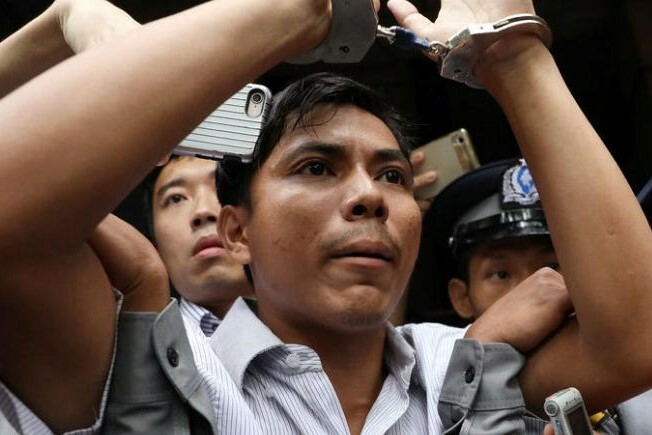 Suu Kyi said in September, the week after their conviction, that the reporters' case had nothing to do with press freedom as the men had been jailed for handling official secrets, not because they were journalists. At the Supreme Court in the capital Naypyitaw on Tuesday, a judge will hear arguments for and against their appeal, alongside 17 other cases, according to a listing published on the court's website. The high court in Myanmar's largest city Yangon rejected an earlier appeal in January.